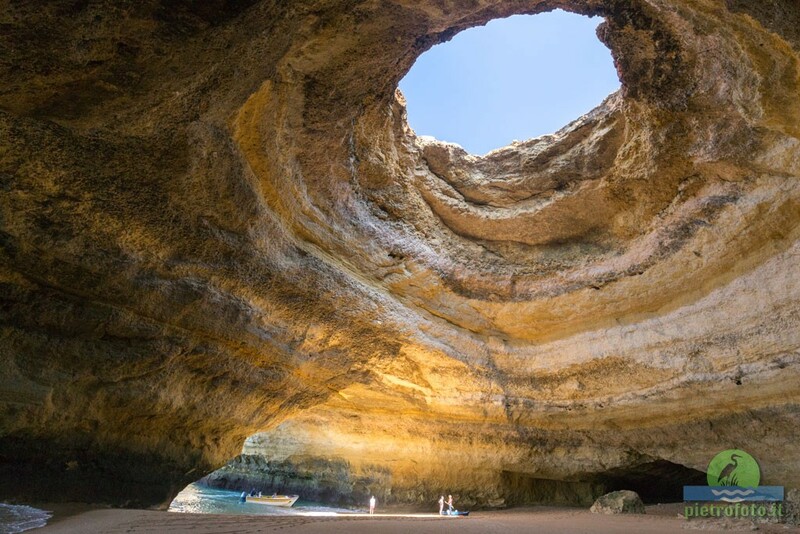 Near Praia de Benagil is an impressive cave, known as Algar de Benagil. 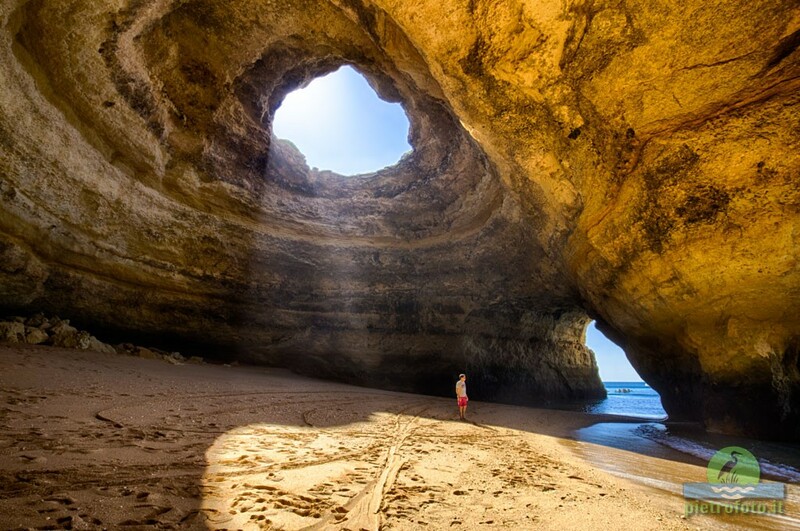 From inside this cave you will see the blue sky through an opening in the ceiling, also known as the eye. 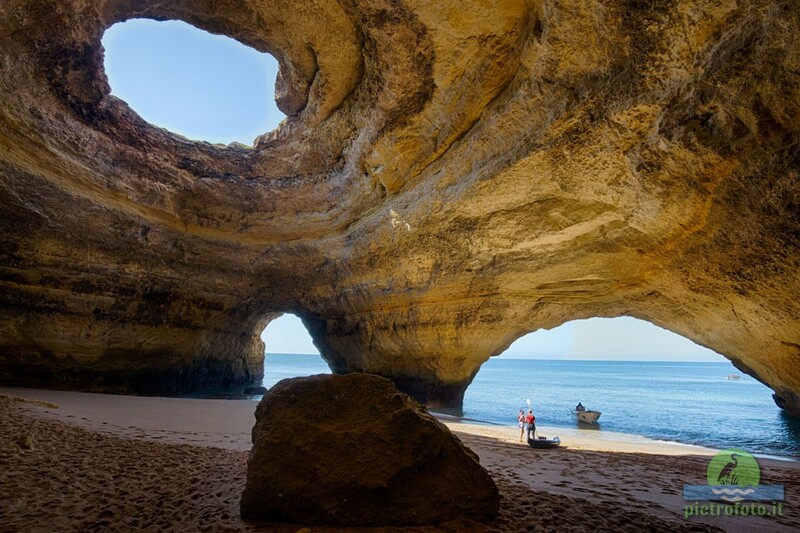 Visiting this cave by boat is highly recommended. 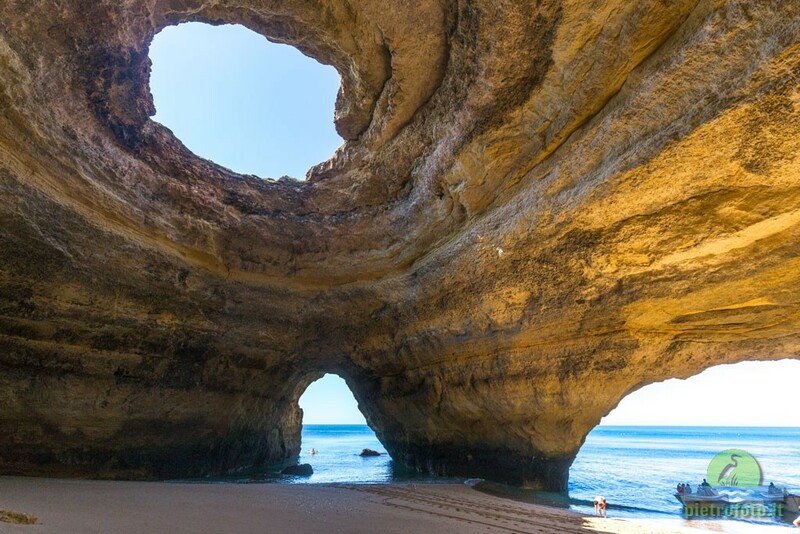 If you feel adventurous, you can even swim to this cave. However, only do this if you are a good swimmer. Otherwise, there might be no one to help you if you get in trouble.